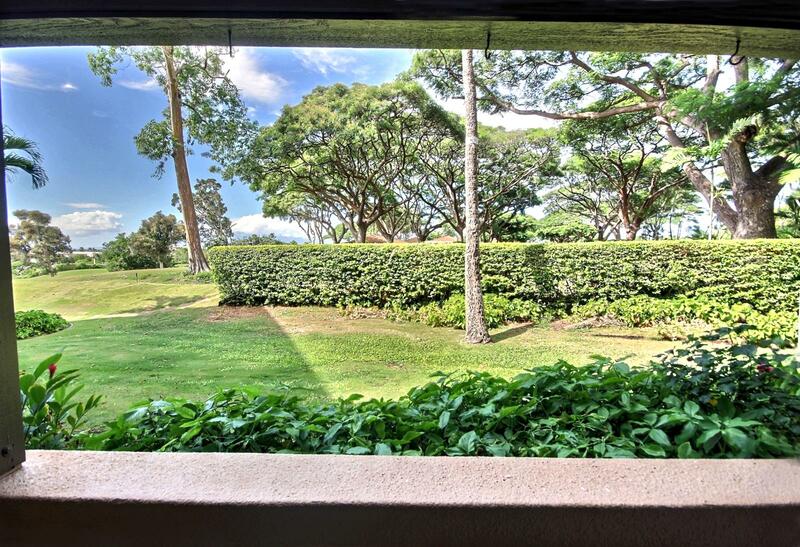 Beautiful well manicured garden view off the lanai. 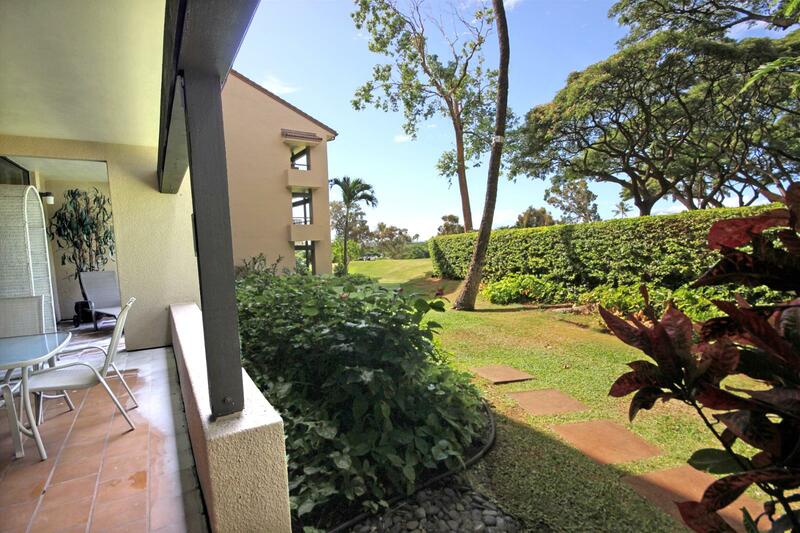 Walk path down right to Whaler&apos;s village. 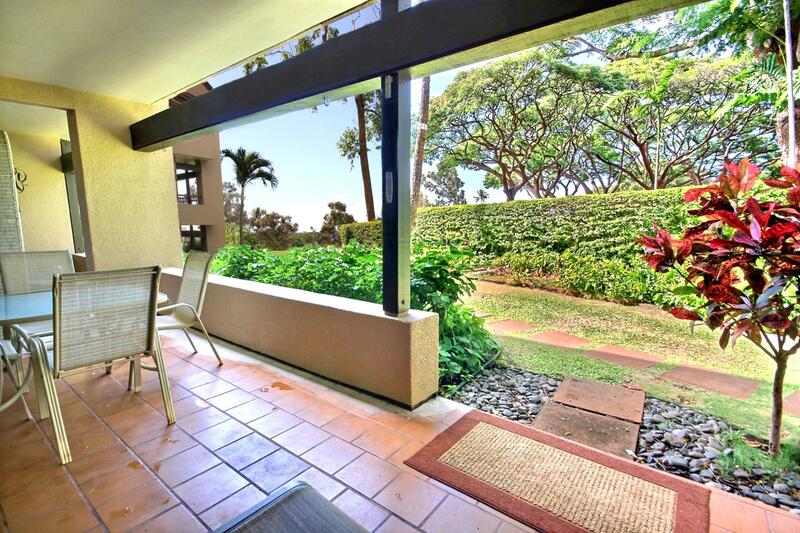 Looking in to the lanai from the open grassy space in front. 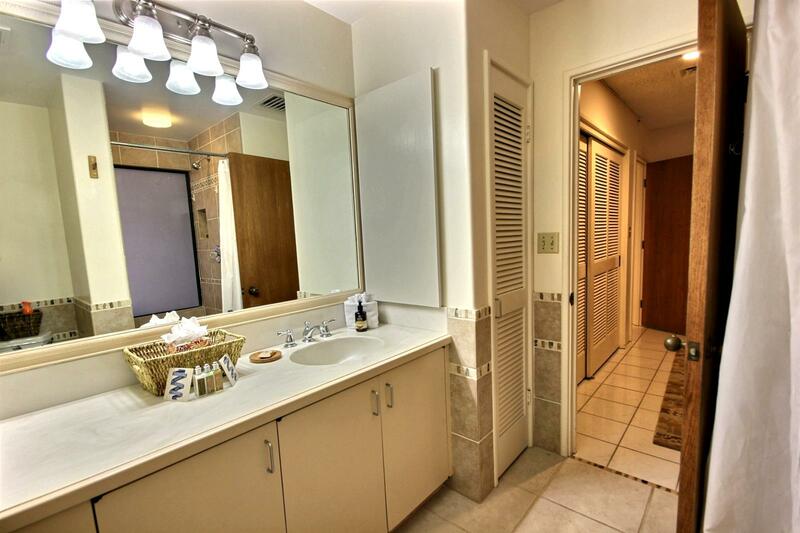 Welcome to Kaanapali Royal Q102. 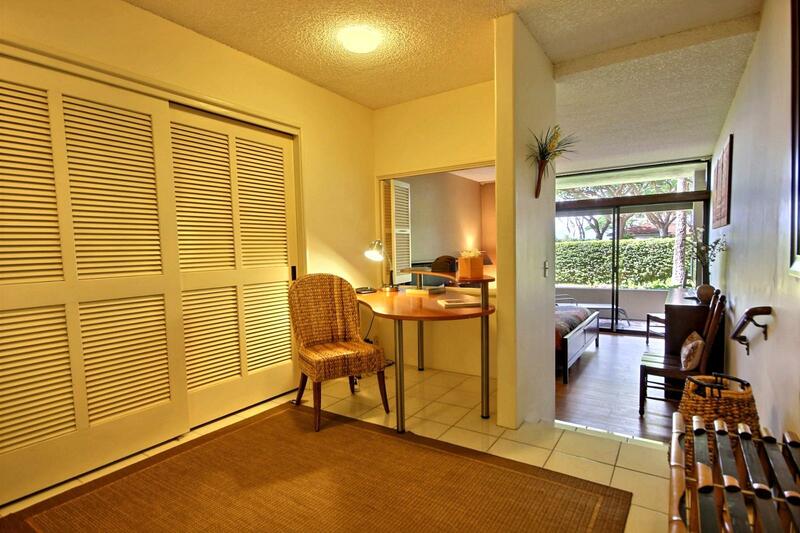 As you enter the master bedroom there is a small office nook then it steps down to bedroom. 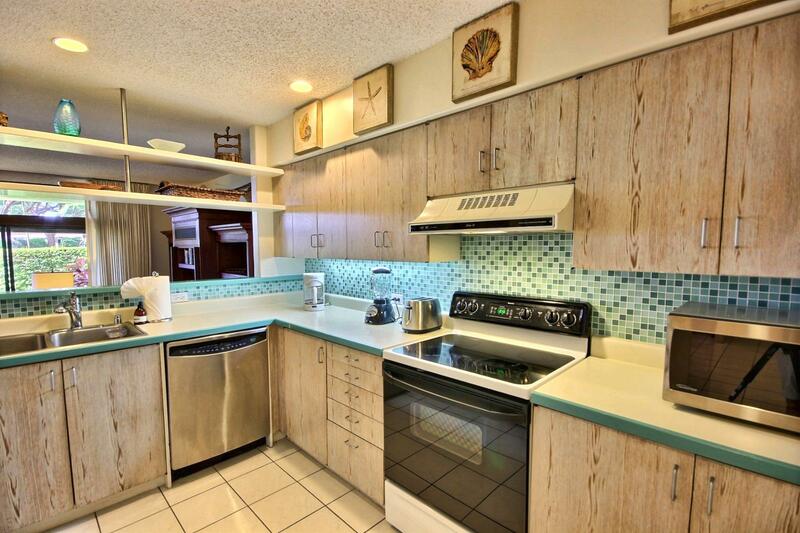 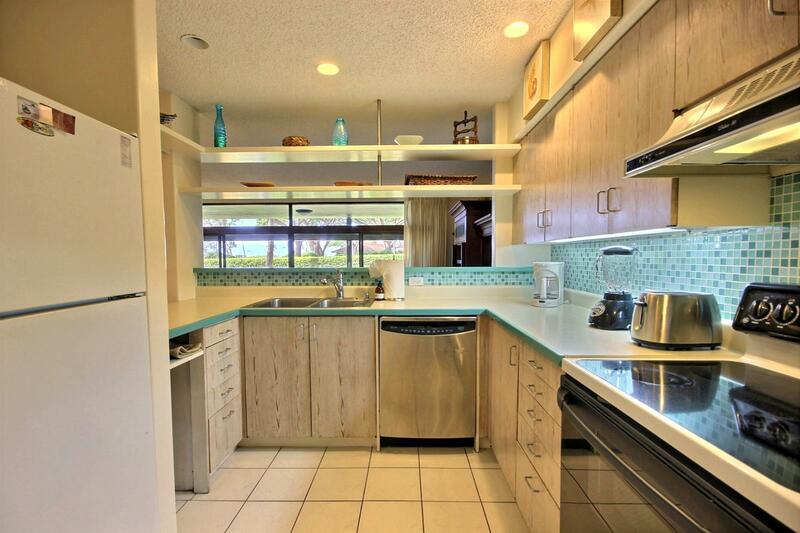 Full size appliances in this kitchen. 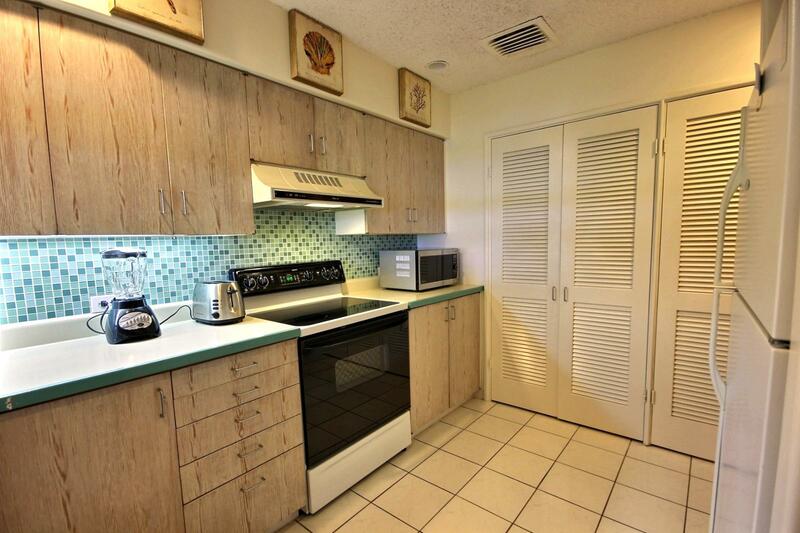 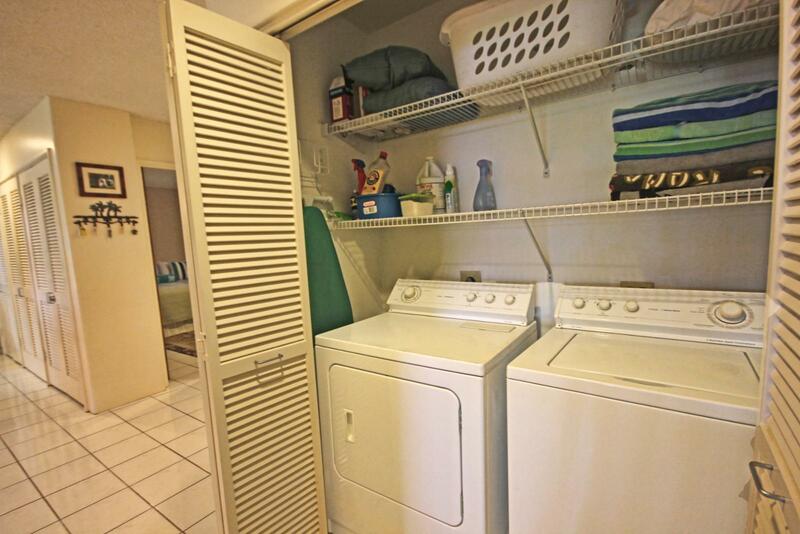 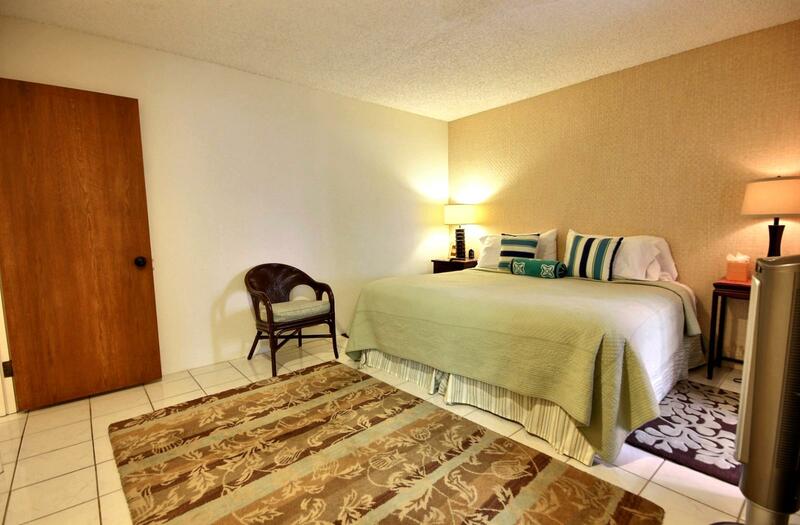 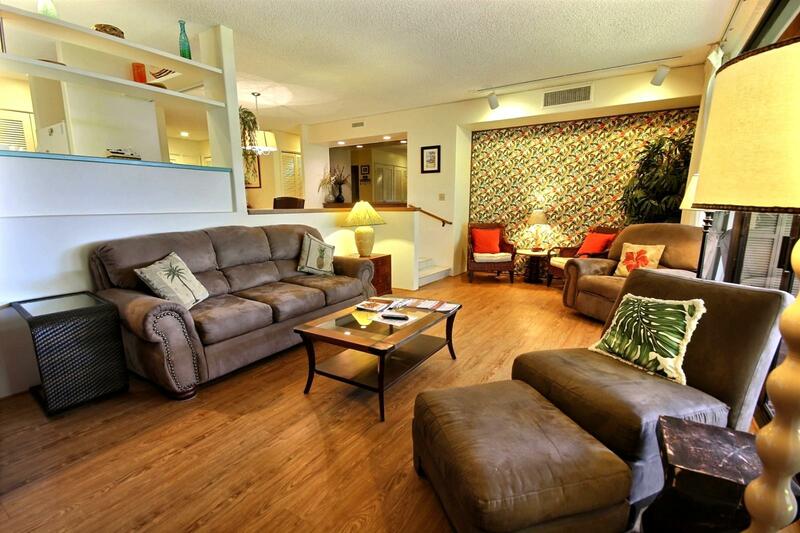 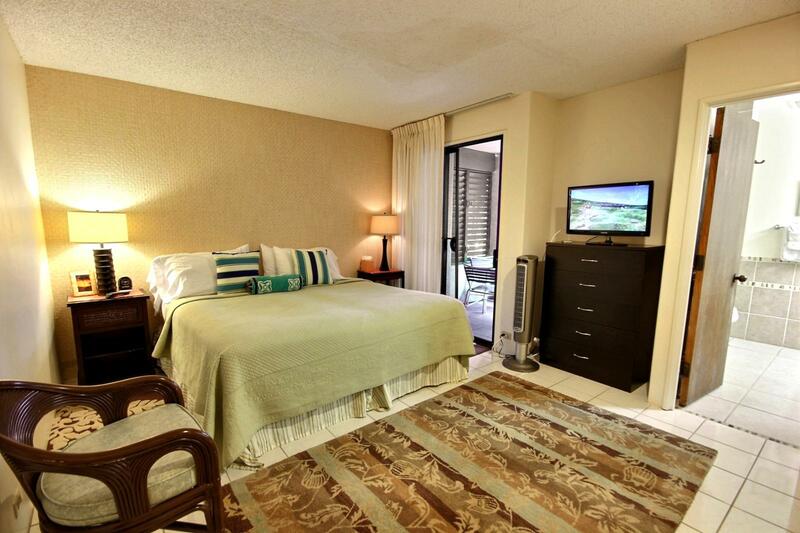 Coffee maker and everything you need to enjoy your stay in the comfort of this large condo. 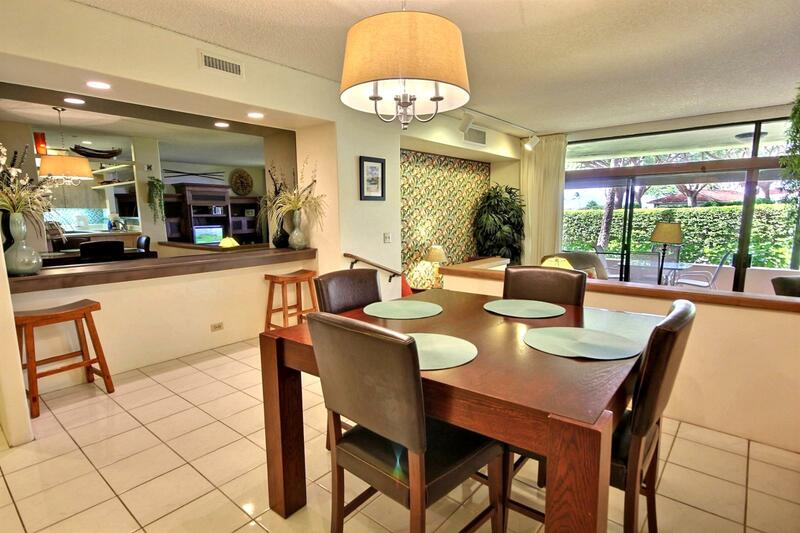 Looking over the dining room table into the living space. 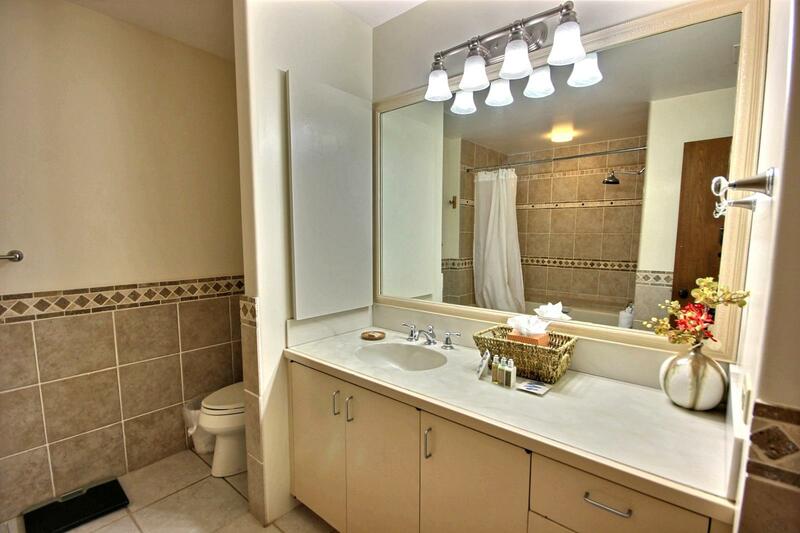 Notice how big the area is. 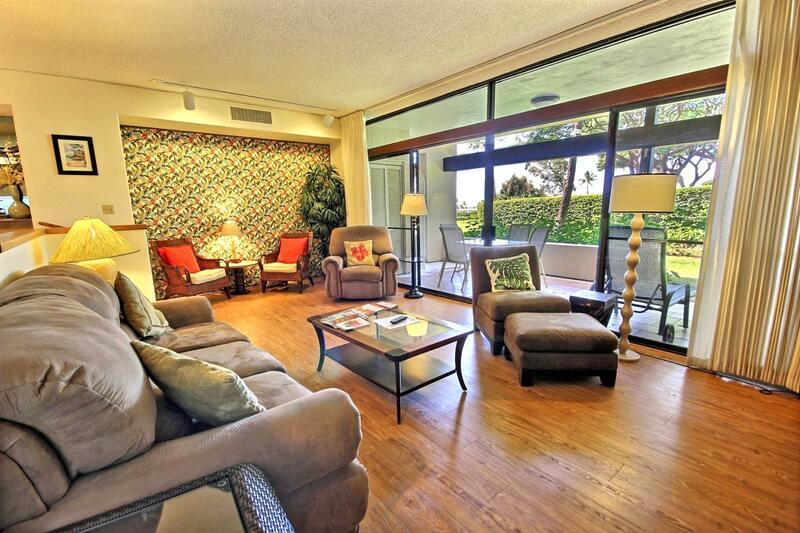 Huge living space with two levels. 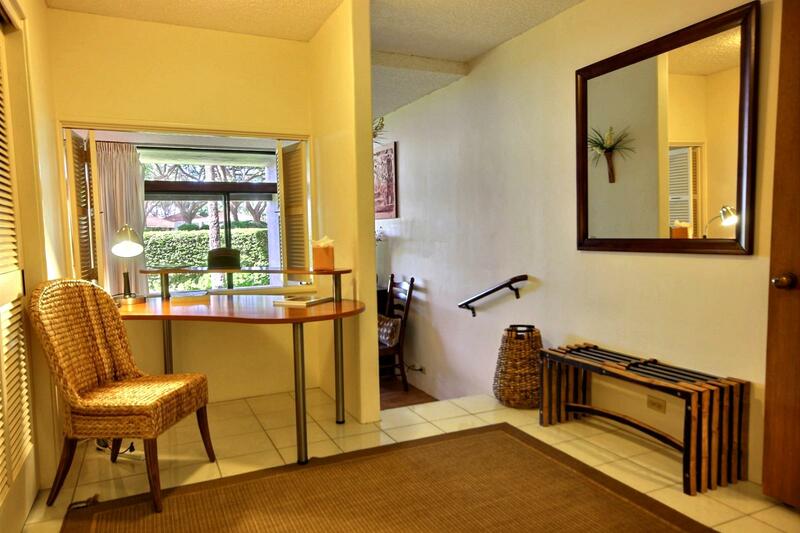 Dining room table to enjoy his meals. 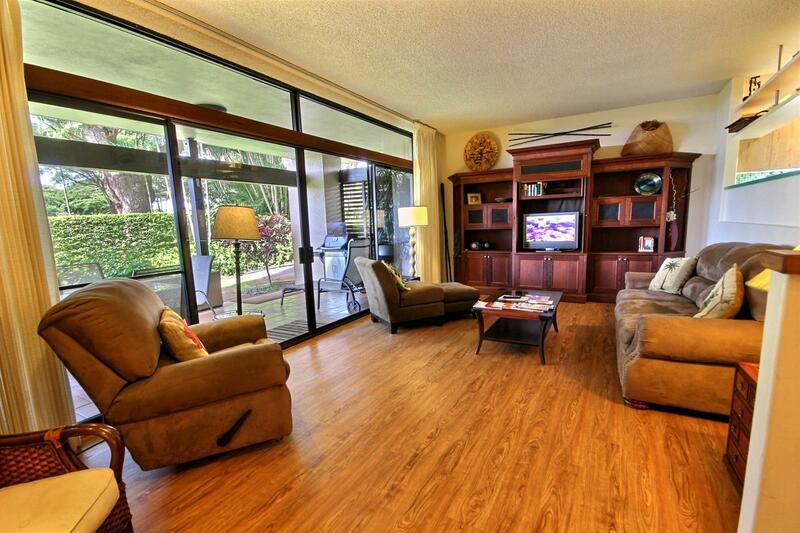 Relax and unwind from a rough day at the world famous Kaanapali beach. 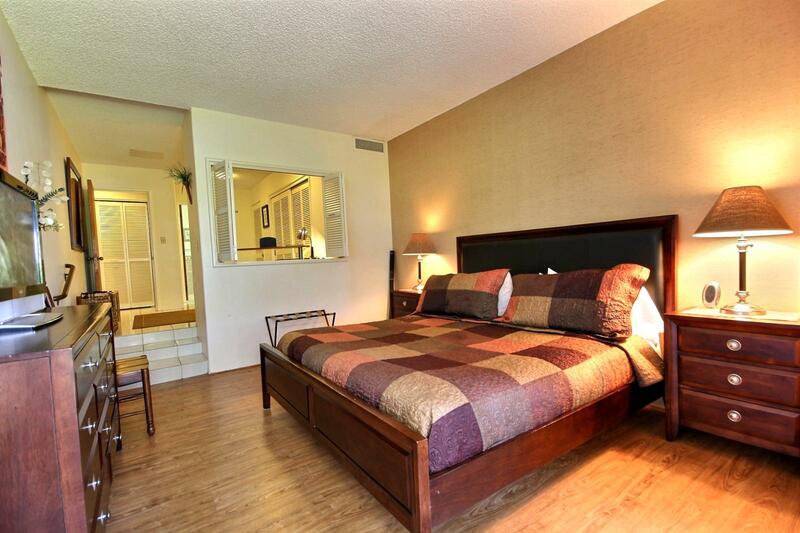 Large master bedroom with King size bed. 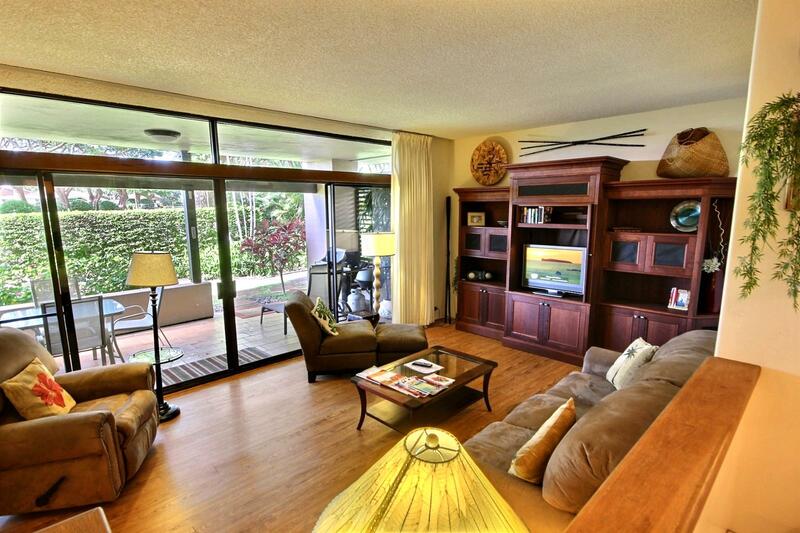 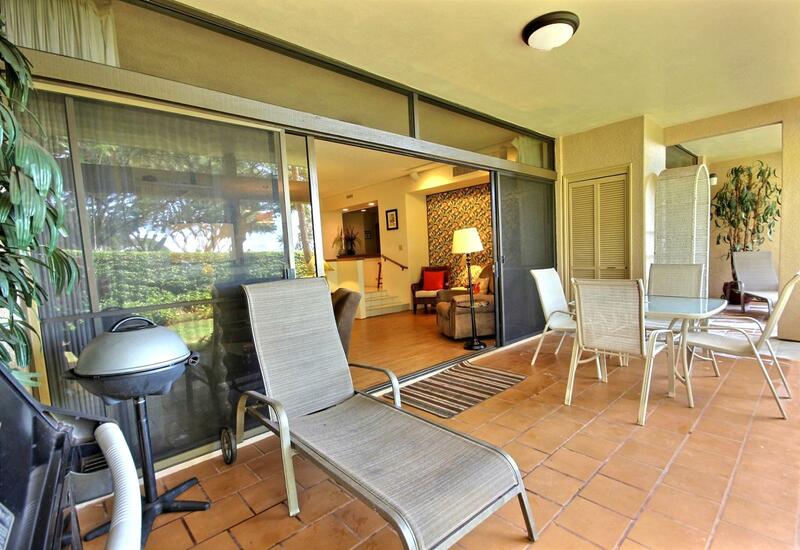 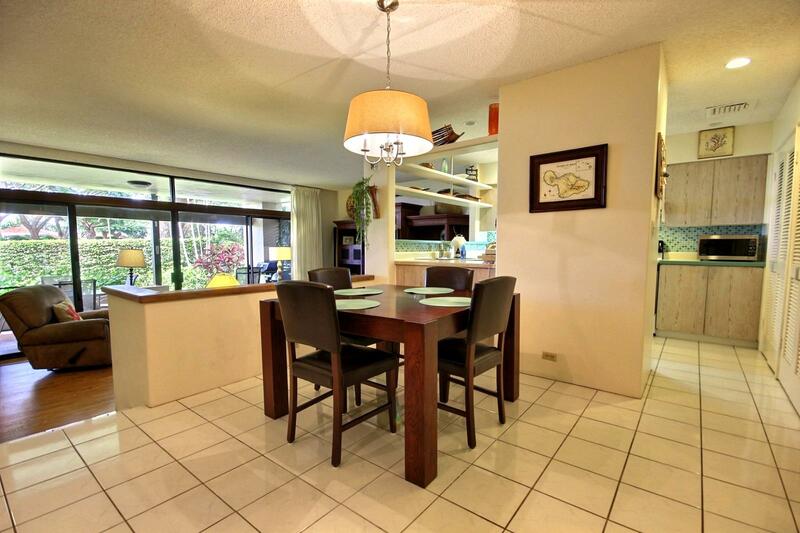 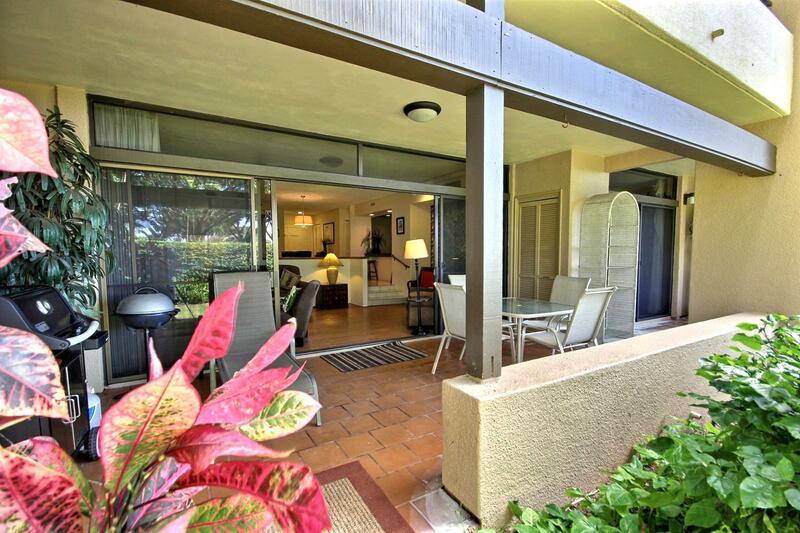 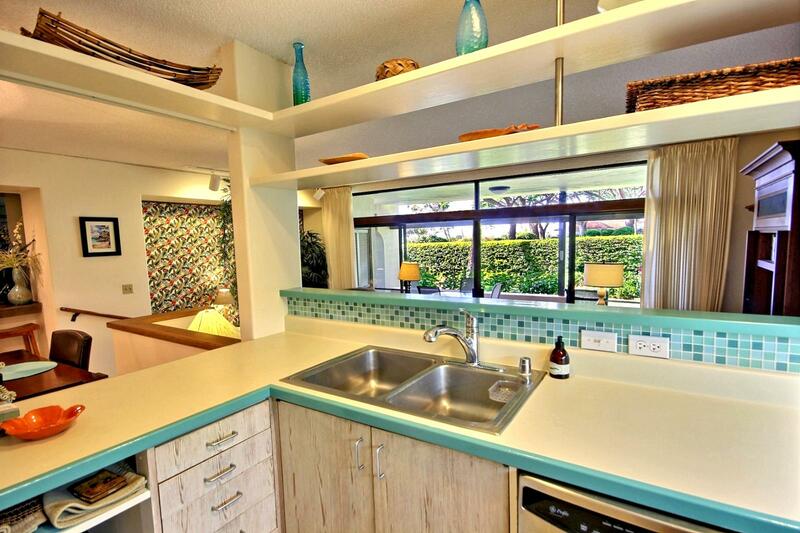 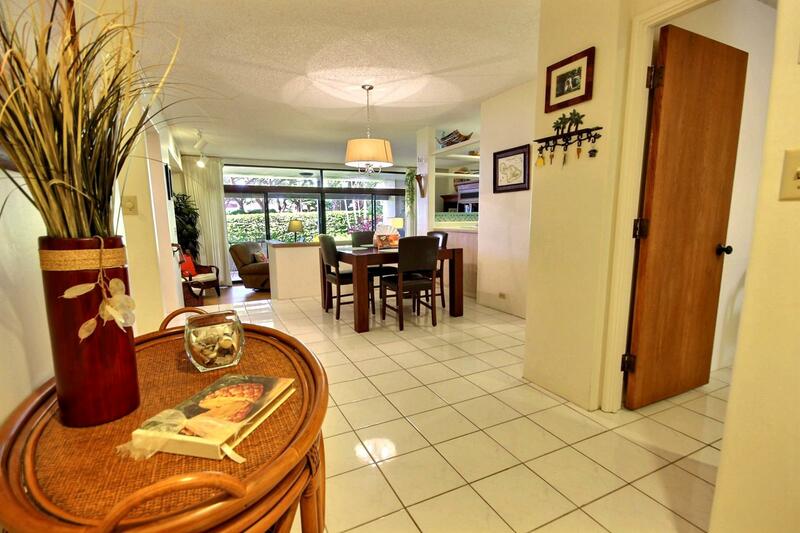 Lots of natural light from the large sliding door leading to the private lanai. 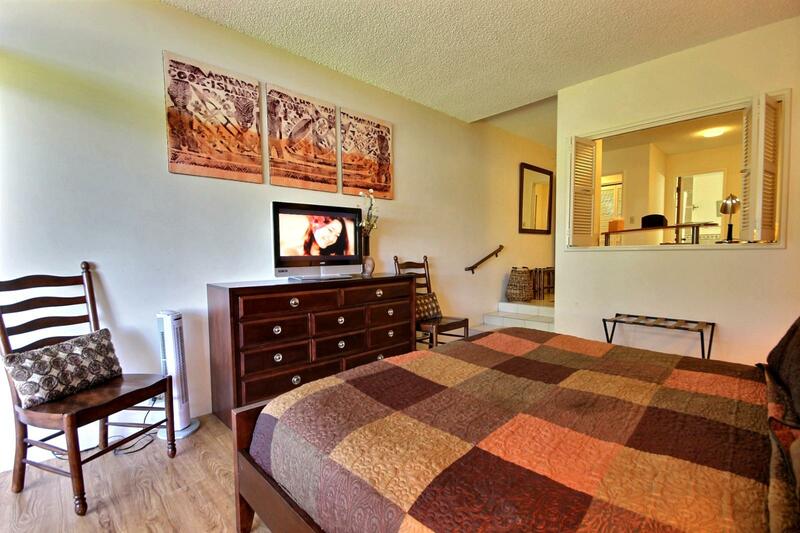 Small Flat Screen TV for you to enjoy. 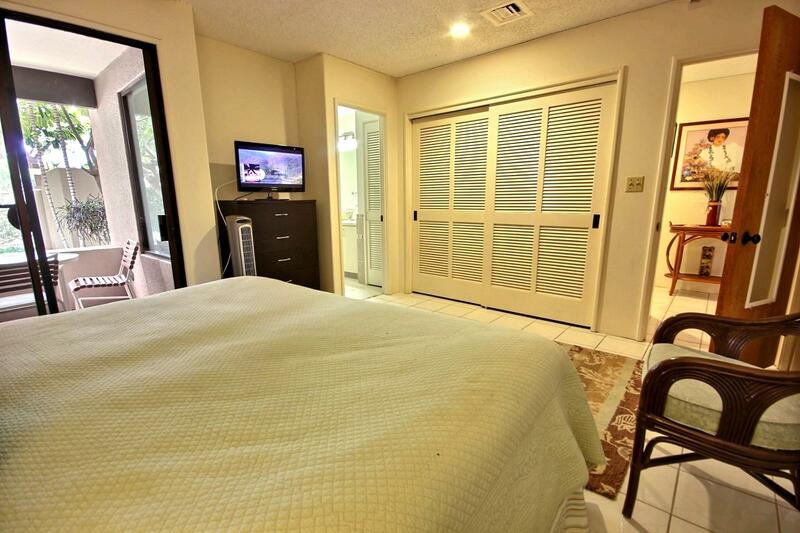 Looking back across the master bedroom to the office nook. 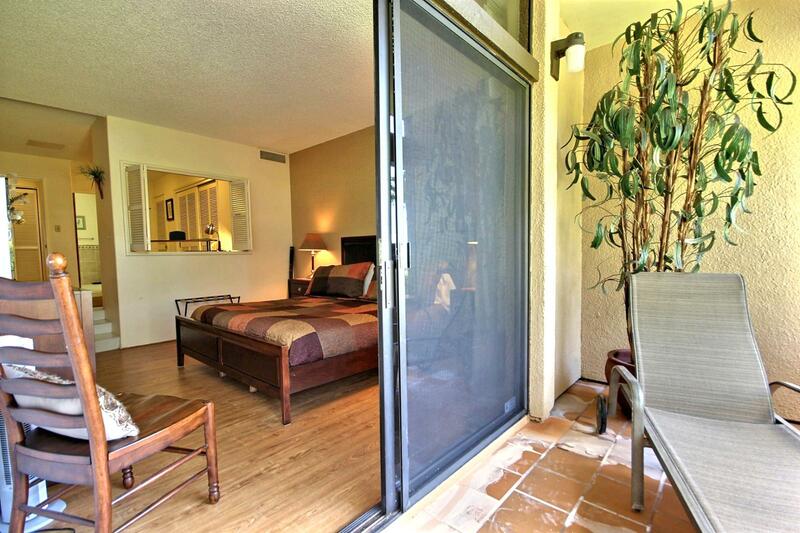 Looking into the master bedroom from the lanai. 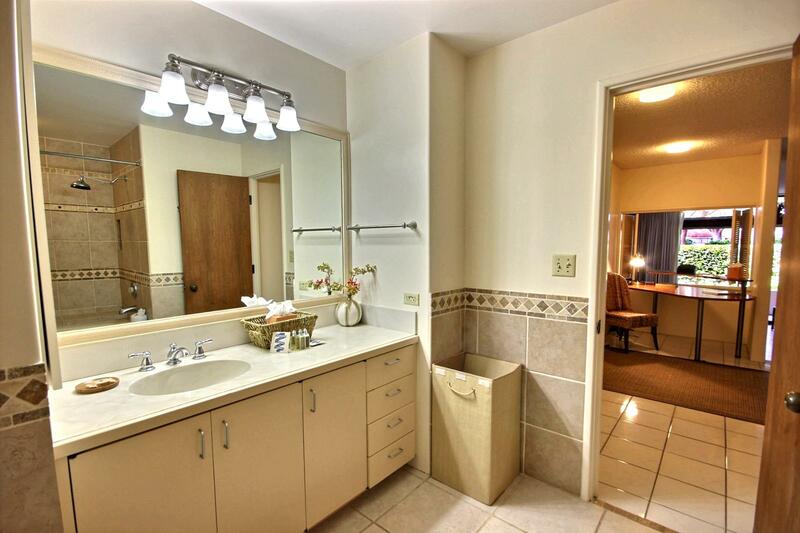 Looking into the master bathroom. 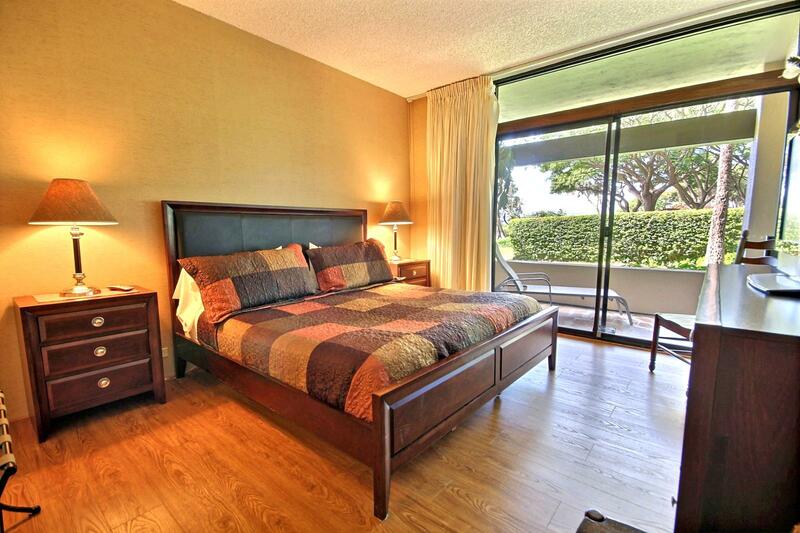 Large guest bedroom with small private lanai. 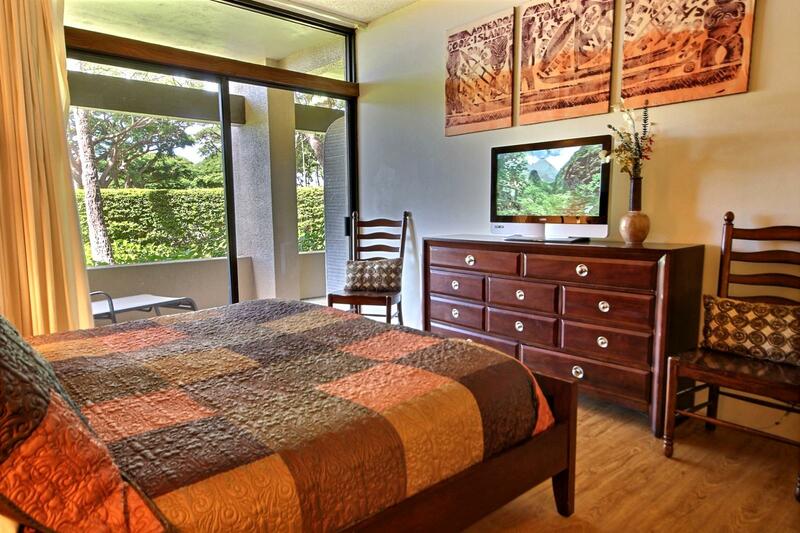 Looking across the large king size bed in guest bedroom. 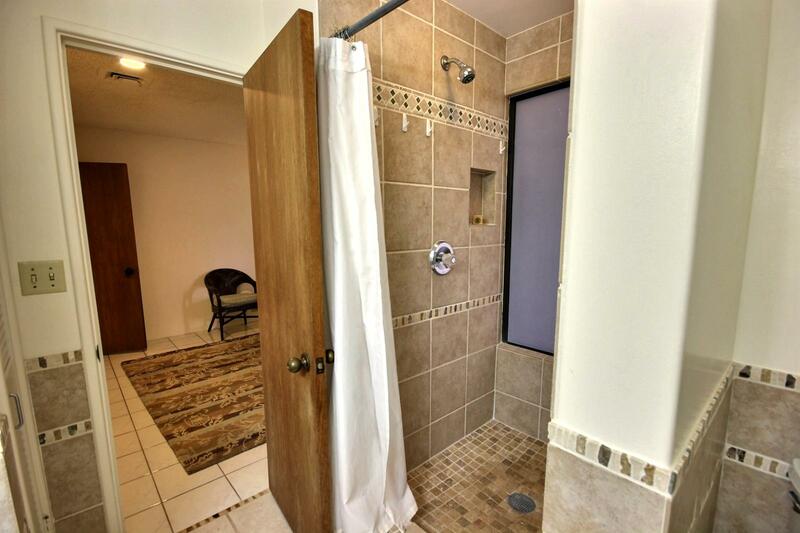 Updated shower in the guest bedroom.